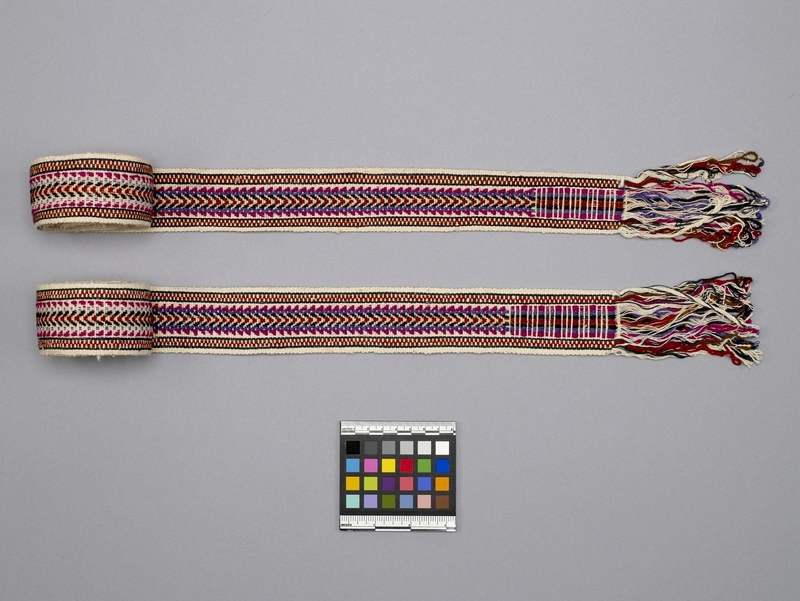 Item number H1.130 a-b from the MOA: University of British Columbia. 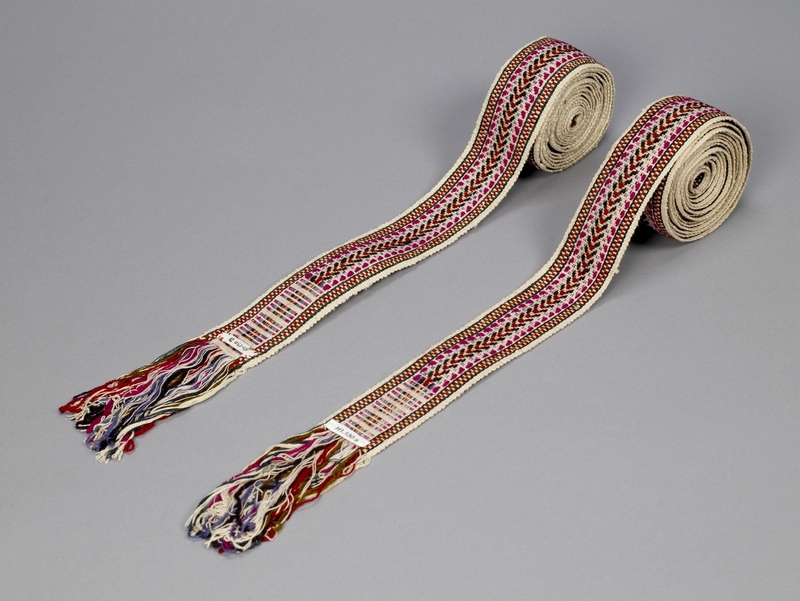 Pair of sashes with a chevron design along the centre in red, green, black and blue flanked with a fuscia toothed band, all on an off-white ground. There is a band of checkerboard pattern in green and red on off-white bordered by thin bands of dark blue. both are fringed at one end, and the opposite end is unfinished.